my name is Marcel and I am from Germany. These are my water rockets. How does the dual nozzle work? the dual nozzle works fine but the wight of this rocket is too much. 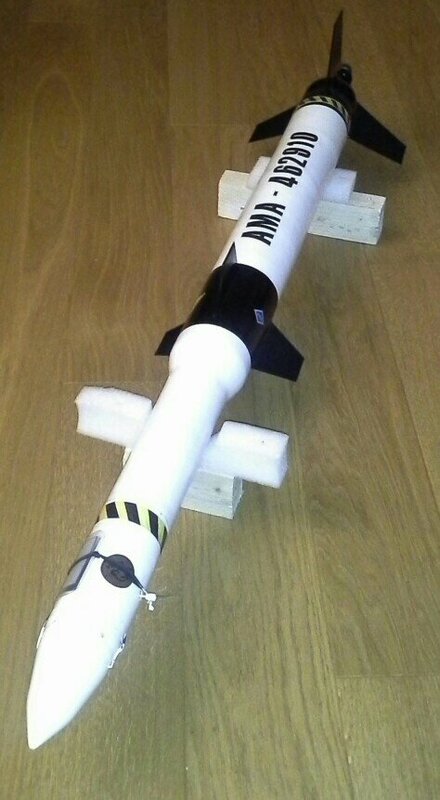 Here is the Construction-Report for the "Rocket-Racer"
Here is the Report about the "Black Milan" - This is a copy of the CUDA Air-to-Air missle. Here You find the Report about the "AMA-462910"
And this ist the last one. The "Two-Year Rocket"
Here you can see, how I make my parachutes. And my Android-App (with APK-file Download). With this app i calculate the flight-data. Great job on those! Have you had a chance to fly the Black Milan yet? I can't see the picture. Is there a link problem?